Does your organisation have a problem or challenge that could use with additional independent research and analysis? 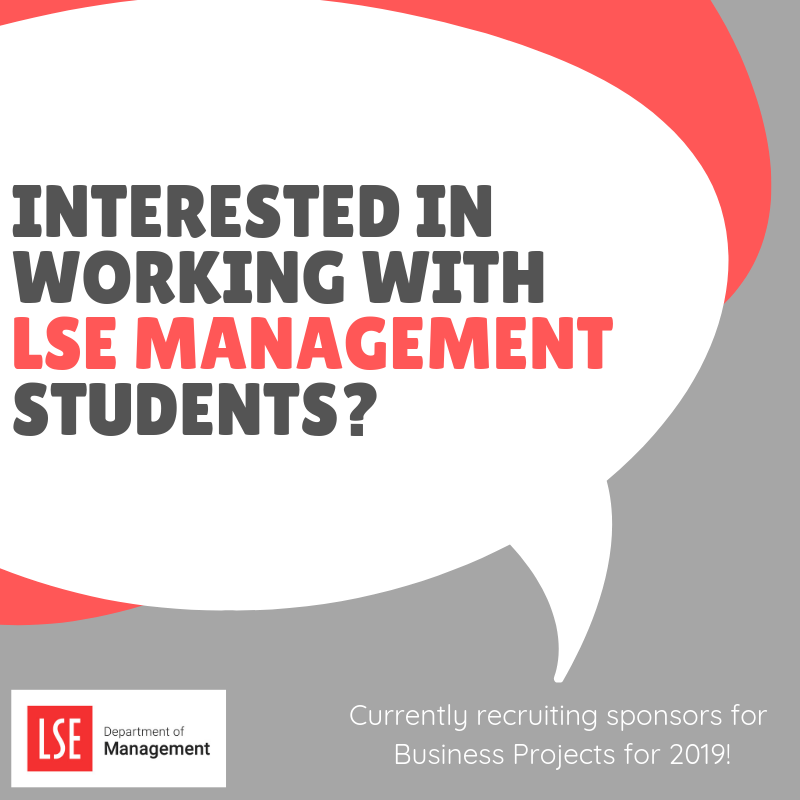 We are now recruiting sponsors for LSE Business Projects for 2019. Student teams who are studying their Master’s in Global Management work with a company in a consultancy-like project from mid-January until early May. Sponsorship of a Business Project has no fee and can work with all sorts of types of organisations and topics. Learn more about engaging with our curriculum and applied projects here. The winners of Westminster City Council’s first Westminster Lion Awards were announced in front of business audience at King’s College’s Great Hall on 31st October 2018. The six winning business, were recognised the different ways in which they have demonstrated their commitment to corporate social responsibility. To view the full shortlist and more information on the Westminster Lions and how your business can take part, visit here. The following is a list of dates and venues for the Business Unit’s drop-in sessions at Westminster’s Business Information Points for 2018. 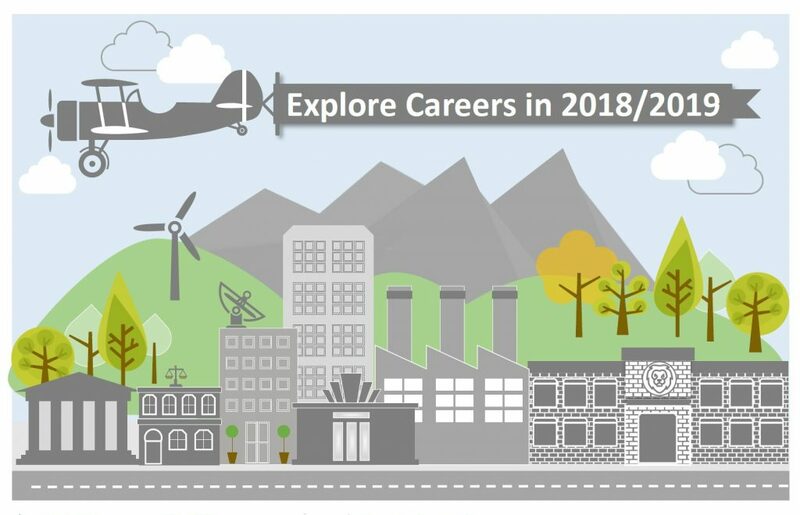 Throughout the 2018/2019 academic year Westminster City Council are working with a range of employers to run a series of career-focussed events. 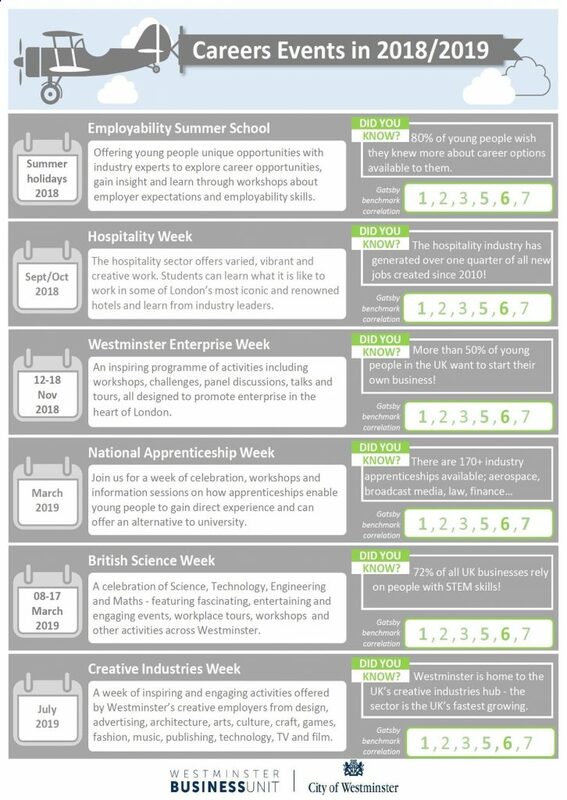 The programme brings together activities that have run successfully for a number of years, including Westminster Enterprise Week and British Science Week, and adding in exciting new activities. The events will link Westminster students with employers, and provide insight into working life and future career opportunities. All activities will support schools to deliver good careers and are opportunities for Westminster businesses to raise their profile and promote their sector. The infographic below summarises the events proposed for the 2018/2019 academic year. If you would like to explore participating in an event please contact the Westminster Business Unit for more information: businessunit@westminster.gov.uk. For Gatsby benchmark information see here.